Comparative neurobiology has traditionally been used to describe and quantify the macro-and micro-anatomical changes to the brain between human and non-human primates. Research literature commonly refers to the Stephen dataset with brain volumes measured from a small sample of ex-vivo non-human primate brains with species often represented by only one or two individuals. Although this is common limitation inherent to many physical neuroanatomy collections, caution should be used with such limited samples not representative of a species and the actual variation unknown. The consequences for such assumptions on quantifying the neuroanatomical differences between humans and non-human primates have broader implications for human evolution. Despite the increasing accessibility of primate neuroimaging datasets, many comparative studies still rely on the Stephen brain volumes. This is despite the necessary factoring of numerous bias including cerebral tissue damage from the delay between the post-mortem interval and brain preservation, potential introduction of artifacts from tissue preservation processes causing shrinkage, some cellular destruction and occasional damage during brain extraction. Navarette and colleagues recently compared digital neuroanatomical volumes from ex-vivo brain MRI with the Stephen data using the same primate species but including an extra 20 species. Results showed differences between the Stephen data and those obtained by Navarrete et al. with larger brain volumes measured in the pre-fixed state versus post-fixed, indicating fixation did noticeably affect brain volume measurement. Although Navarrete et al. aimed to quantify primate brain volume variation by increasing the number of primate species to 39, there were still 29 species represented by only one individual, while the maximum of for the entire sample was never greater than three individuals per species. Although Navarrete et al. argued a lack of larger in-vivo primate brain neuroimaging datastes, several are accessible as part of the National Chimpanzee Research Center. More broadly, Navarrete and colleagues have shown quantifiable differences between pre- and post-fixed brain volumes and emphasised the need for caution in the suitability of ex-vivo brain collections to provide reliable volumetric measurements for comparative primate neuroanatomy. Emeritus Professor Colin Groves was an internationally-recognized and respected taxonomist in Mammalogy and Primatology. After completing his PhD dissertation at University College London in 1966 on Gorilla skull variation and taxonomy, Colin was appointed as lecturer at the Australian National University (ANU). Colin was an integral part of the ANU Biological Anthropology Department, welcoming discussions with internationally recognized researchers and undergraduate students alike, always made himself available and believed in an “open-door” policy for teaching. For me, he was an inspirational and influential mentor, teacher, colleague and friend who was an irreplaceable part of the Australian and International Primatology and Anthropology community. An online condolence book has been organised for those wishing to pay their respects. The mature primate brain consists of many layers with the outer layer or cerebral cortex forming folds known as sulci and gyri. During embryonic development, the brain is divided into zones with the inner-most ventricular zone where neurons are formed and a series of cytoarchitecturally distinct layers forming plates radiating outward. The subplate is located between the inner ventricular zone and the outer cortical plate hosting the migration of neurons allowing brain expansion. Most embryonic brain research is conducted on non-primate mammals but there are substantial differences in the development of the non-primate and primate brain. A very recent study utilized existing primate tissue databases to examine the embryonic development of the subplate zone in non-human and human primates. Duque et al. found during that development of the macaque brain, once the neurons have migrated to the subplate they then are pushed downward by axons derived from the subcortical layer before further compression occurs from further axonal development originating from the cortical layer. The implications of this force acting on the neurons within the subplate suggests that thickness of the subplate differs unevenly throughout the brain potentially due to an increased axonal density. Duque et al. suggest the density of axonal fibers increases with demand for more connectivity between brain regions with those areas possessing a high-demand for greater complexity causing a thicker subplate. Changes at the cellular-level of the subplate also have implications for the development of the cerebral convolutions such as sulci and gyri. It was recently posed that the folding patterns in the human brain are the result of mechanical forces related to the subplate and outer expansion of the cerebral cortex. Tallinen et al. showed through numeric and physical simulations with the support of MRI that during fetal development the subplate stabilizes while the outer cortical plate continues to expand. The final stages of growth see the cortical layer undergo extensive gyrification to form the folding patterns we see in the adult human brain. 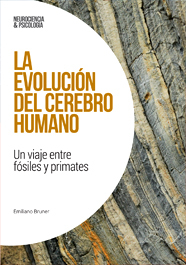 Overall, a better understanding of human neurobiology informed through non-human primate neurobiology offers a glimpse into the evolutionary pathways which led to the evolution of modern humans. A new dataset of non-human primate microCT scans is now available. The original specimens (59 species) belong to the Museum of Comparative Zoology at Harvard University. The dataset includes 431 skulls of adults and juveniles (and also some postcranial elements) with resolutions between 18 and 125 microns, depending on the size of the specimen. The scans can be freely downloaded, under registration, from the MorphoSource website, which is an open-access archive of 3D data. From the MorphoSource front page you can easily browse by Institutions, and access the specimens. In addition, the authors have also provided a dataset of landmark configurations digitized from the skull sample, available from Dryad Digital Repository.